Aba2Gps converts Waypoints from Palm Desktop file format (ABA address files) to KMZ or GPS compatible format (GPX) in a few steps. Download your waypoints from your Palm PDAs or GPS and save it in .ABA format (Address Book Archive) using your Palm Pilot Desktop application. 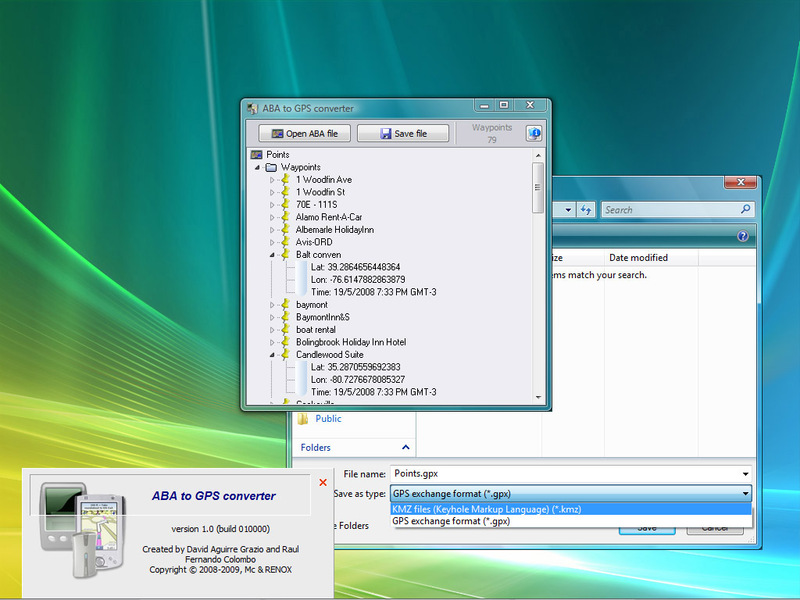 Load that file using Aba2Gps.